PLEASE NOTE...We are in the process of adding products to our website. Please call for any product information. Sorry for the inconvenience. Our #1 Priority Is Customer Service & Customer Satisfaction! 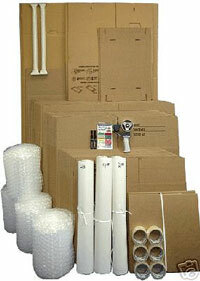 CC Industrial Supply Company, Inc. is a distributor for a variety of manufacturers. We have extraordinary versatility which allows us to work with our customers to meet their specific needs. With our warehouses in Pasadena, Texas, most items are ready to ship the same day! We offer an array of specialized void filler & dunnage products such as Air-Bags, Pal-Kor A-Frame Corrugated Bulkheads and a variety of corrugated drop down void fillers. These products will greatly reduce your stuffing and stripping time. Everything about our company, from our products to our courteous staff, is designed to meet your individual needs. It's on our uncompromising commitment to quality, value and service, that we've built our reputation. At CC Industrial Supply Company, Inc. we provide superior products, with superior service. Our product line includes: Poly Products, Void Fillers, Corrugated Products, Packaging Materials, Dunnage Wood, Bracing and Pallets, Stretch Film & Equipment, Protective Clothing and much more.